studio2stage was the best experience of my life so far.I got to meet some amazing people during the 9 days and I have now made friends for life. During the 9 days of intense training I've learned various styles of dancing with challenging choreography. It was amazing working with choreographers who all had their own ideas and got to bring them to life. I have achieved so much in the 9 day challenge. I now feel more confident in myself and have gained more knowledge about life on tour. I would just like to thank everyone involved starting with some of the best choreographers out there Chris Naish, Aidan Garvey, Miriam Lee, Bobby Hodges and Rachel Byrne. I would also like to thank all the musicians for creating the outstanding music for the show. Last but not least I would like to thank the production team Michelle Lee, Barry Lee, Susie Sheil and Jim Murrihy. We couldn't have done it without you guys. 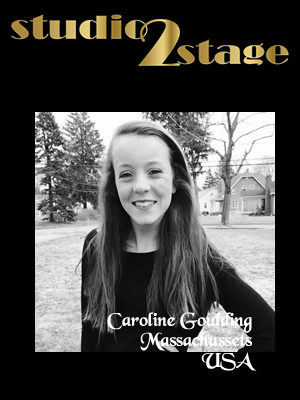 Studio2stage was an amazing experience I will never forget. I made lifelong friends and connections for which I am forever grateful. Throughout the nine days I learned a lot of information not only about steps and shows, but about myself and what it is that I want to do in the future. Thank you to all those who made my week so special and for motivating me in my dancing career. I love you all and I hope to see you soon. studio2stage was an unbelievable experience. I feel honored to have had the opportunity to work with the brilliant production team as well as the fantastic choreographers. The music from the show left everyone asking where they could buy the soundtrack and our custom-made costumes were absolutely beautiful. Being one of the oldest dancers there I was so impressed by the level of professionalism and dedication every dancer showed no matter what their age or previous experience. 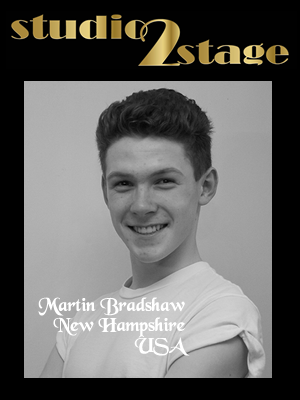 I am so proud to have been an original crew member of Studio2Stage. What we accomplished in 9 days was truly remarkable and it showed when the crowd erupted just a few seconds into the opening routine. I have made friends for life, memories that I will never forget and have spent every day since I got home wishing I was back in the studio with everyone! Thank you for everything, it was truly the experience of a lifetime. When I first sent my audition into studio2stage, I had no idea how much of an impact it would make on my life. I figured it would be a great opportunity to experience the show world and it could also help me decide if I really wanted to go on tour. I've been home for a few days, but I still can't shake the feeling I had when I first got off stage after the opening number. The exhilarating rush I experienced was a once in a life time feeling and I'm eternally grateful that I experienced it. The long days of rehearsals were tough, but the joy packed into each minute was well worth the long hours of dancing. The friendships I've made through the show are incredible. They're different from others because the basis of our friendship is our love for dance. Being able to embrace our passion while also strengthening friendship is something I wouldn't change for the world. I never expected that I would be able to have best friends from all over the globe, but studio2stage gave me the chance to. I've never laughed so hard for so long, and each day brought new memories that I'll cherish forever. I especially loved that everyone had their own story and own dance background, but we all came together to create this amazing show. The cast and crew of studio2stage changed my life for the better and I'm so proud to say that I am an original crew member. 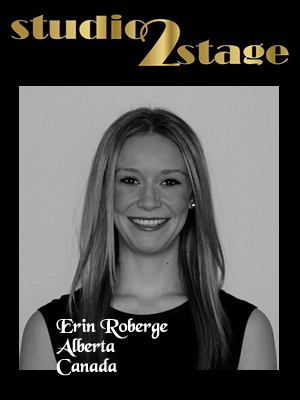 Auditioning for studio2stage, although I didn't know at the time, was one of the best decisions of my life. It was everything I imagined and more. The long rehearsal days were rigorous on everyone's mind and body, but the high spirits of every dancer there kept all of us on our feet for those 9 days. What made each day enjoyable was that each person was there for the same reasons, we all wanted a taste of what it was like to do what you love in a professional performance matter. Although everyone had different styles and journeys, we could all come together as friends and dancers to produce an amazing show. Nothing compares to how I felt during the opening act. My heart was racing, and I have to admit I teared up a bit from all the emotions it brought to me. Everyone was ecstatic. All the hard work, from the producers, choreographers, and dancers was coming to life! Because of S2S, I will always have those feelings and moments dear to my heart. I can say those 10 days were 10 of the most happiest days of my life. I've made so many friendships that will last a lifetime. "No distance of place or lapse of time can lessen any true friendship." These friendships will last a lifetime because of our connection with the experience of S2S. The relationships I've made on this trip are so strong because we all share the love of Irish dance. We all had the time of our lives. I've honestly never laughed so hard in my life and the memories I've made on and off of the stage will be cherished forever. Thank you to all the producers, choreographers, and performers for a wonderful experience. I am so grateful for everyone and everything that this project has brought to me, but I am especially proud to be an original crew member of studio2stage. 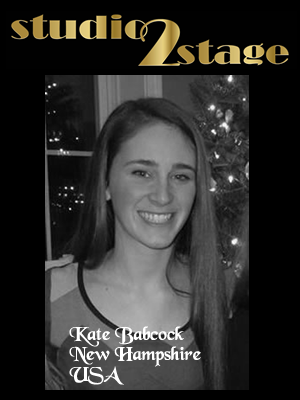 studio2stage was one of the best experiences of my life. Getting to work with so many great dancers and such talented choreographers and musicians was something I will never forget. It wasn't easy, being on my feet for 12 or more hours a day for 9 days and having to learn and remember all the steps, changes, and positions as well as doing my best to not make any mistakes was stressful at times. However, it was an eye-opening learning experience and was well worth all the challenges. The rush of excitement that I got when music for the opening started playing and when the curtains parted and the stage lit up, revealing the audience, was a feeling like no other. Being on the stage is so exhilarating. I can't wait to get back on a stage. I loved studio2stage and would do it again in a heartbeat. 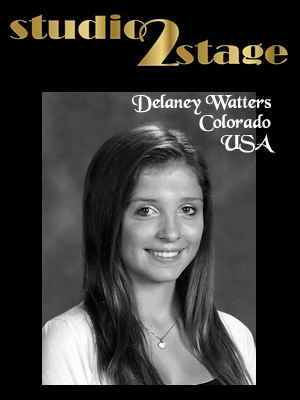 studio2stage was such an amazing experience that I know I will never forget. Even now that the show is over, I still can not shake the feeling I got from performing for a live audience. studio2stage reminded me of my love of performing and desire to tour with an Irish dance show at some point in my life. We worked very hard, dancing several hours a day, yet the memories that were made during those long hours are priceless. The friendships I made in 9 days are ones that I know I will keep forever, despite the fact that we live all around the world. I want to thank all of the producers and choreographers Michelle Lee, Jimmy Murrihy, Rachel Byrne, Miriam Lee, Aidan Garvey, Bobby Hodges, and Chris Naish for putting together an outstanding show that I will never forget, and giving me the chance to experience what it is like to be a professional Irish dancer. I hope to see the cast and crew of studio2stage very soon!